In this all-new 2-DVD set, you’ll learn everything needed in order to achieve extraordinary sales success. Ask for the sale with confidence so the customer will say YES!!! Your next sale awaits you. 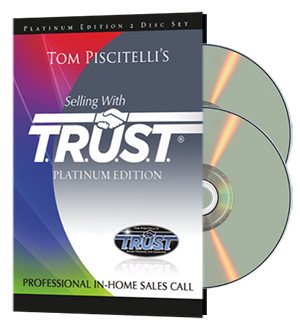 Close the deal with confidence by using the tools and strategies you’ll learn in Selling with TRUST® Platinum Edition.